Synopsis: The dark history of Spring House, a beautifully restored plantation mansion on the outskirts of New Orleans, has long been forgotten. But something sinister lurks beneath the soil of the old estate. Review: This is the first book I read by the author and it is true that the mix contained in the synopsis immediately attracted me. Yes mixing sinister forces, plantations and New Orleans could only give something perfect. Yet it is true that even if I had a good time overall, I have not really been carried away by the story and the characters. Caitlin is a young rich woman, but money is not everything and that lady is very unhappy in her life. And that is not likely to get better when the day of her birthday, she discovers that her husband is cheating on her. Wanting to end her life, she wakes forces that should never have been disrupted. From this appears a sort of strange vine that seems desperate to fulfill the young woman’s desires of vengeance. But in this revenge against her husband who disappears without a trace, she could lose more than she thought. We follow the course of the novel alternately with different characters and it’s true that I have not necessarily adhered to all the protagonists that we discover. By cons I loved following Nova who looks like us a little more. Different stories are also mixed here, first of, the Caitlin’s revenge over her husband, but also the murder of Blake’s boyfriend. It was quite touching to see this man trying to overcome his grief and ultimately discover what had really happened. But this is true that I had trouble with the story several times and it’s finally the end that appealed me the most and allowed me to enjoy a little more everything. It was an interesting novel even if it is true that I have not been completely conquered. But I’m curious about something else by the author because the ideas here are very interesting and original. The end is still quite open, even if it has some sort of conclusion and I wonder if we will find out more later. 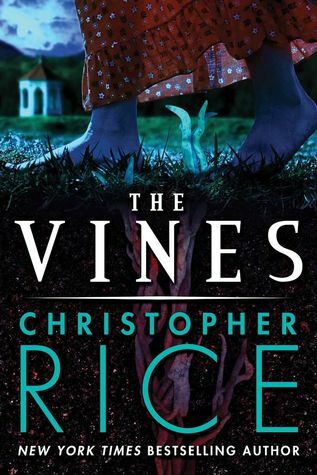 This entry was posted in Christopher Rice, Mystery. Bookmark the permalink. Awww, I expected more out of this one. Still going to try it though. I hope you’ll like it more! It does sound like it has a very interesting and original concept, but it’s too bad it fell short on the execution. I hope the next one will be better for you. the story is really interesting in fact but the rest? not so much. I’m curious to see what you’ll think about it. It sounds like there were maybe one too many narrators in this novel and that made it a little hard to follow. That is too bad. Multiple POVs can be tricky. yes maybe… it’s too bad. Yes I love books in NOLA! Always so fun! But this one? well it’s just ok. I read one of his books a long time ago, mostly because I was reading Anne Rice’s books and I was curious about her son’s work. I think I ended up being quite ambivalent, and so I haven’t picked up any of his books since, but I may try again. I confess that’s why I tried it. Maybe I should try something else too. Oh I love the synopsis and the setting…if you had enjoyed it more I think I would have bought it immediately. sorry but maybe it can be more for you? I’ve been wondering how much of his success is about his mother’s name. This looks like it might be okay. I might get to it one day, but I have much more intersecting on my TBR list right now. I was curious as well but I’m glad I tried one of his books. It’s a shame that the book wasn’t better since there was a good idea behind it. Anne Rice isn’t one of my favorite authors, but I have only read one book by her. Seems like we’re entering the age of the writer’s kids.